EK Water Blocks, Ljubljana based premium performance PC water cooling gear manufacturer, is proud to present the latest revision of EK-RES X3 series reservoirs. There are four different versions avaiable: EK-RES X3 110, –150, –250 and –400. The EK-RES X3 reservoir from EK CSQ design line is an improved version of renown EK-Multioption RES X2 reservoirs released three years ago. 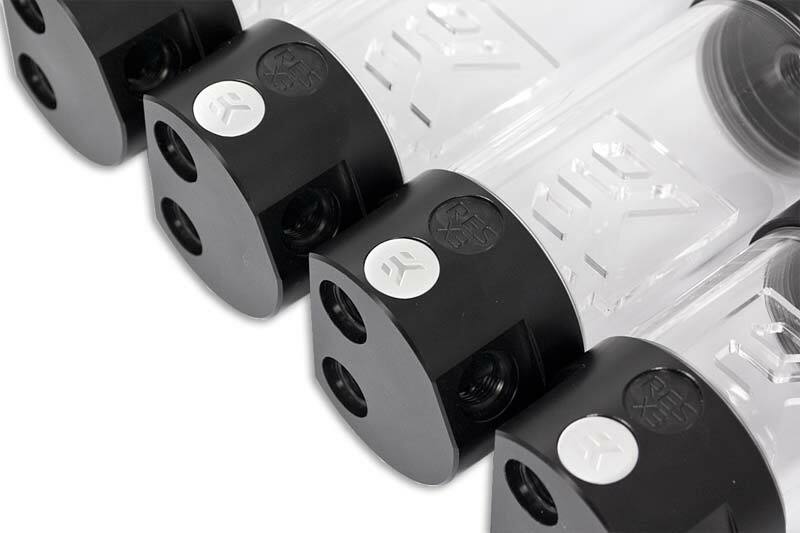 Compared to EK-Multioption RES X2 product line the EK-RES X3 reservoirs featire improved inlet/outlet port configuration for easier and more straightforward fitting configuration and tube routing. Improvements have been made on the reservoir’s bottom terminal which has been optimized for best flow. Vortex ouccurance has also been diminished by the use of enclosed anti-cyclone as well as additional PE foam. New EK-RES X3 series reservoir comes with a pair of EK design reservoir holders using adjustable fastening force controlled by enclosed Allen key. 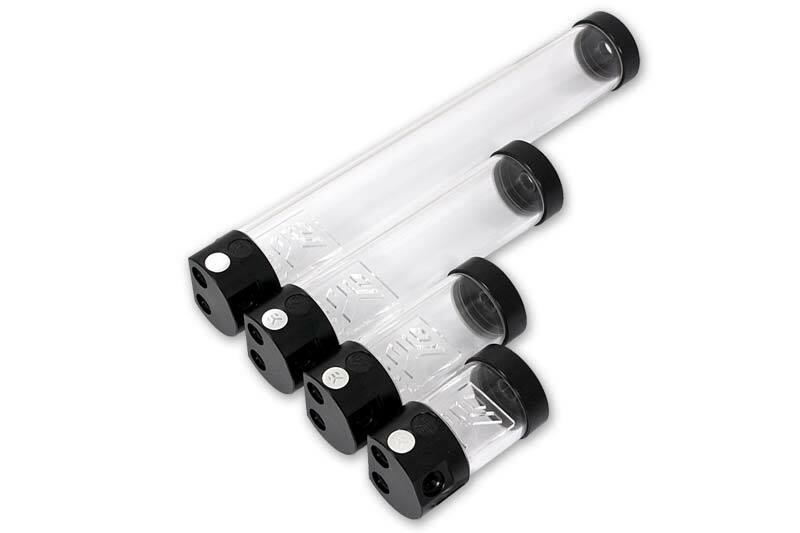 The EK-RES X3 series reservoirs are readily available for purchase through EK Webshop and our Partner Reseller Network. More add-ons (such as multi-port top end caps) will be available for purchase in the upcoming month.